A little more than two weeks ago, a 28-year-old political novice named Alexandria Ocasio-Cortez defeated the fourth-highest-ranking House Democrat in a primary in New York City, creating the biggest upset yet in the 2018 election cycle. Suddenly, Democratic challengers all over the country started claiming they were the next Ocasio-Cortez. But ask the candidates who claimed to be the next Barack Obama or Donald Trump in the wake of their respective unexpected rises: An upset is not easy — nor is it common. There are 20 states that have yet to hold primaries, and five of them are in New England. The results of these contests — including the Mass. primary on Sept. 4 — could give some political hints about the future direction of the Democratic Party. And that’s particularly true in primaries that, at least on paper, look a lot like US Representative Joe Crowley’s race with Ocasio-Cortez. Should Ocasio-Cortez’s upset have Capuano worried about Pressley? While there are many similarities between the contest in New York and the race between Ayanna Pressley and Michael Capuano, there are also some key differences. To be sure, comparing any election to another is fraught with challenges. Candidates and voters are different in every district and race. But interviews with several local politicos and analysts yielded a few comparisons. Close to home, there’s Boston City Councilor Ayanna Pressley, whom Ocasio-Cortez has praised on multiple occasions. Both are women of color taking on 10-term incumbents. 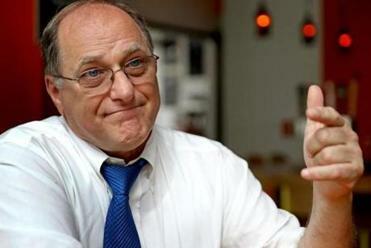 In Pressley’s case, it’s Michael Capuano, a Somerville Democrat. The comparison has clear fault lines: Pressley, the first black woman elected to the Boston City Council, is a more established pol than Ocasio-Cortez, and politically, Capuano is further to the left than Crowley. In Western Massachusetts, another woman of color, Tahirah Amatul-Wadud, is challenging the state’s long-serving member in the US House, Richard Neal, in the Democratic primary. Amatul-Wadud’s Twitter feed is filled with references to the Ocasio-Cortez win. Beyond the state line, in Connecticut, there’s Eva Zimmerman’s campaign for lieutenant governor. She is 31-year-old woman of color and a union organizer, and she’s is running against a longtime local figure, Susan Bysiewicz, who has won three statewide races to be secretary of state. So far, Zimmerman hasn’t done much to encourage talk that she is the next Ocasio-Cortez, about to pull off an upset (after all, she is facing another woman in the Aug. 14 primary). All she has done is to post on Facebook a news story about the New York contest. 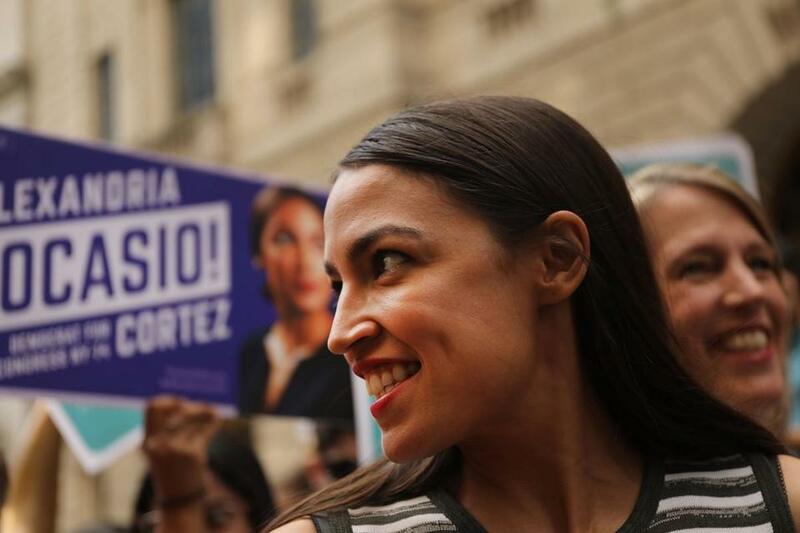 But Democratic consultant Roy Occhiogrosso says that, demographically and politically, Zimmerman fits the Ocasio-Cortez model. And Zimmerman already shocked the political establishment when, as a new entrant to the race, she received 40 percent of the party’s convention vote in May. In Rhode Island, there are a few candidates who, according to local Democrats, are attempting to fit the Ocasio-Cortez mold, said Bob Plain, publisher of RI Future, a liberal blog. Plain notes a contest from two years ago when Jamaican-born Marcia Ranglin-Vassell defeated House majority leader John DeSimone, a 24-year incumbent, in the Democratic primary. This year, Plain says, the Rhode Island candidates who might embrace that analogy are state Representative Aaron Regunberg, who is launching a primary challenge to Lieutenant Governor Dan McKee, and Matt Brown, a Democratic candidate for governor. In an interview, Brown says he takes “a lot of inspiration” from Ocasio-Cortez’s victory. To be sure, Justice Democrats, the new national political action committee by former Bernie Sanders staffers that helped Ocasio-Cortez, has endorsed Brown. But — as Brown points out — the demographics of his race don’t line up with the New York story. He is a 48-year-old white male with two Ivy League degrees who has already served as secretary of state and ran for US Senate, and he’s challenging the state’s first female governor in the Sept. 12 primary. That’s a long way from the South Bronx.